Sometimes the best vacation is the one close to home. In our case, home is the beautiful Rocky Mountains. Here are our long-weekend recommendations for sight-seeing within a few hours’ drive South of Denver. This place is just as I remember as a kid. AMAZING! The caves were discovered in 1881, and has been drawing adventurers ever since. There are many tour options, so make sure you check their website before you go. The tours are a combination of adventure, education and history. Our family loved it. They take you deep into the cave, at one point turning out the tour lanterns so you can experience complete darkness. You cannot see your hand right in front of your own face. 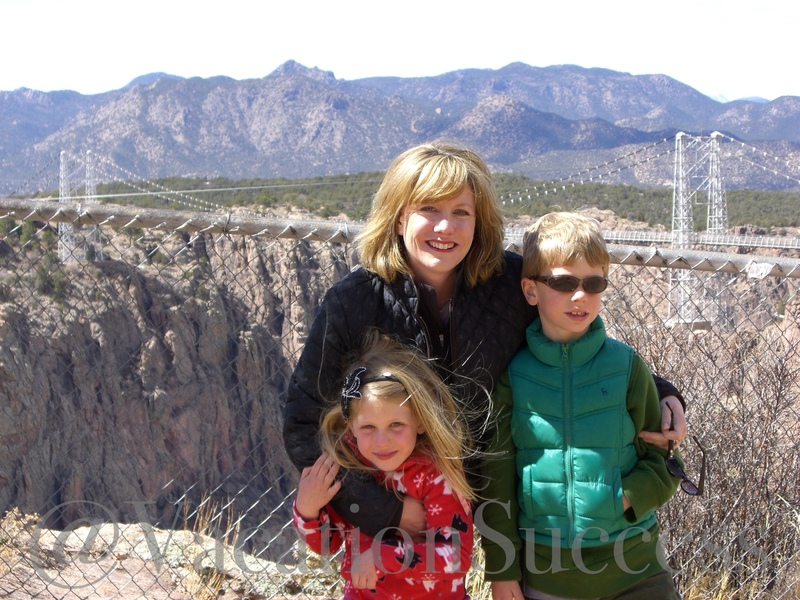 Sadly, in the summer 2013, a wildfire stole much of the attractions around the Royal Gorge Bridge. Some of those structures had been around since 1930s. The fire destroyed 48 or the 52 structures around the park and bridge. Sadly, the aerial tram, antique carousel and visitors’ center burned. Gladly, the Bridge survived. And, continues to expose a breath-taking view of the Royal Gorge below. Because of the fire, they’ve reduced their hours to weekends only. Check their site when planning your trip. Given the unfortunate fire, we’d recommend planning a day trip that includes both the train and bridge. That way you’ll get to see the Gorge from two perspectives. When we were there, the Bridge and part had enough activities to fill the whole day, but much of those activities are gone thanks to the fire. The Royal Gorge Train has many different events throughout the year. From Foodies to Murder Mysteries – see their site to find the one right for your interest. So much fun! Guarantee, many of you have never stood at that altitude. The Cog railway takes you almost 9 miles up to the top of Pikes Peak, one of the highest peaks in Colorado. You go from 6,571 to 14,110 feet above sea level. For those adventurous enough, you can drive up Pikes Peak or hike it. More details at their site. The Royal Gorge Bridge & Park is recovering from that terrible 2013 fire. In March, 2015, a new tramway opened and the Plaza Theater has reopened. The new tramway can carry eight people on six new cabins, making it larger than the one destroyed in the fire. Still to open this Spring: two ziplines (which will be the highest in North America), the Silver Rock Railway mini-tram, and a children’s play area. Better still, they are working on a new 5,000 seat outdoor amphitheater that should open next year. Rides on the tramway and access to the theater are included with your admission ticket, set for 2015 at $21/p/p.